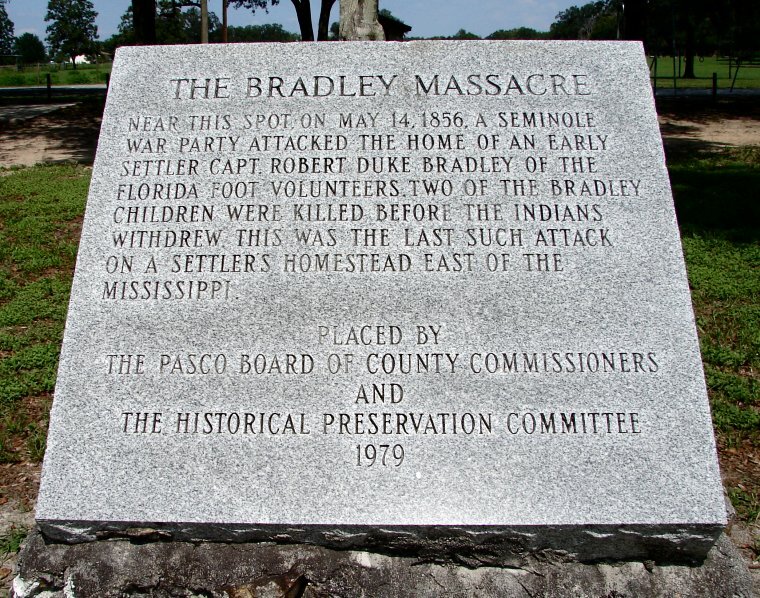 BRADLEY MASSACRE HISTORICAL MARKER. This historical marker is not the familiar post-mounted roadside sign. The engraved granite plaque is mounted on a stone pillar in a small park on the east side of Bellamy Brothers Boulevard a few hundred feet south of its intersection with Darby Road in Darby. 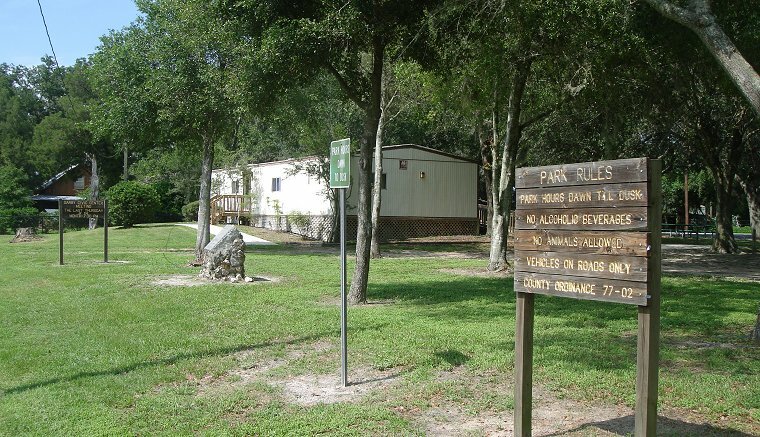 The Bradley residence at the time of the massacre was approximately one mile north of the location of the marker, near the intersection of Bellamy Brothers Boulevard with the St. Joe Road. A traditional brown "historical location" informational highway sign on the west side of Bellamy Brothers Boulevard is readily visible close to the road and points to the actual marker across the highway.